Ilie Oană Stadium or The Stadionul Ilie Oană is a €17.5 million euro purpose built football stadium located in the Romanian city of Ploiești. 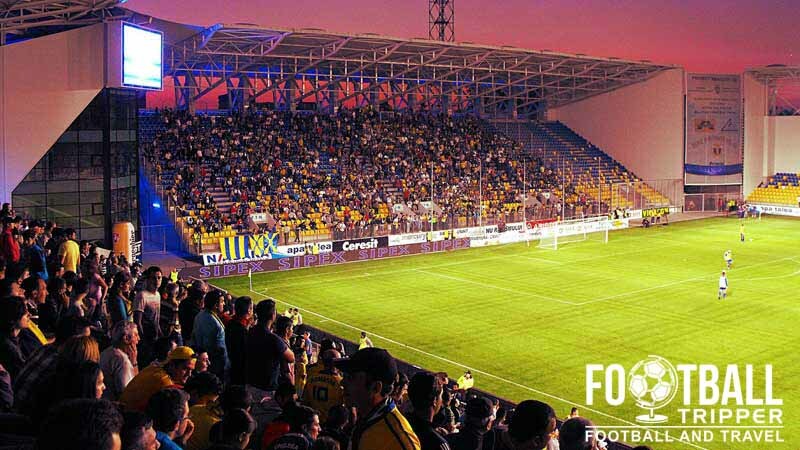 Home to FC Petrolul Ploiești since opening in 2011, the ground has a current capacity of 15,500. Stadionul Ilie Oană’s opening was celebrated on the 24th September 2011 with a friendly match between the 1995 Romanian Cup winning team, and a selection of former Romanian Internationals including Galatasaray icon Gheorghe Hagi. 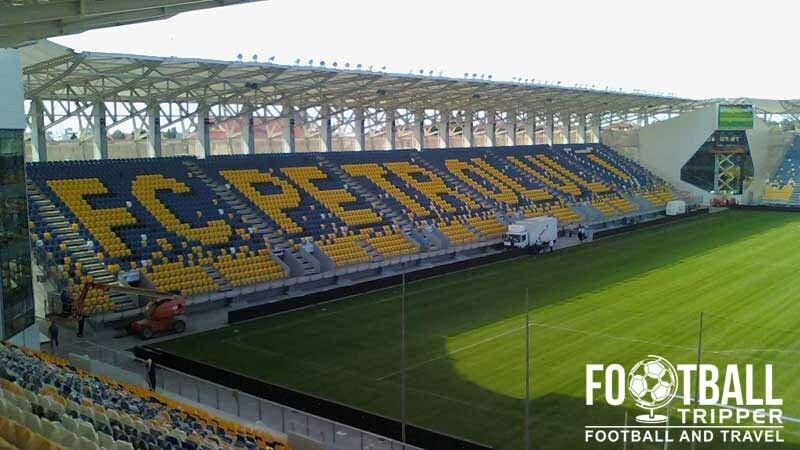 The inaugural competitive fixture was held a week later against Dinamo Bucharest however it wasn’t such a joyous occasion as Petrolul Ploiești suffered a 5-1 defeat. 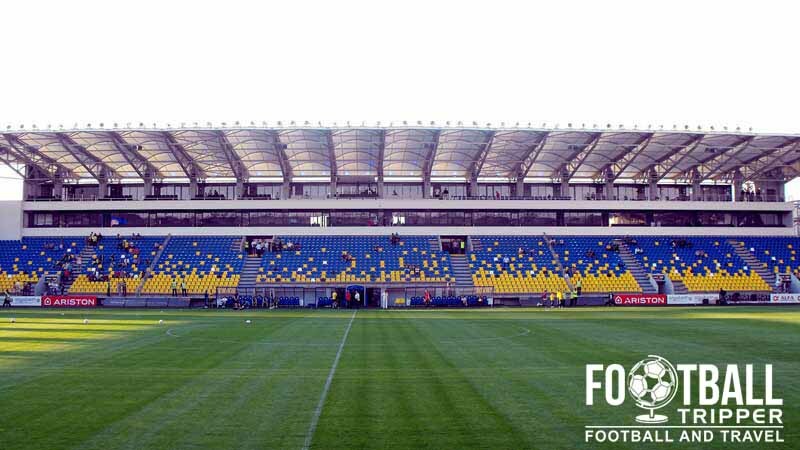 Constructed on the same site as the original Ilie Oană Stadium which first opened in 1937, the new version is a marked improvement and is currently rated by UEFA as a Category 4 stadium. This means that the ground is permitted to host Champions League matches as well as anything up to the Europa League Semi-final. Costing an estimated €17,500,000 million euros and designed by architects Alpine Baum, the new Ilie Oană Stadium is a purpose-built football ground which means that it offers higher levels of intimacy than the original. Due to the stadium’s appearance Romanian fans often refer to it as the OZN Arena or in English, The UFO Arena. The stadium continues to be named after club icon Ilie Oană who played for FC Petrolul Ploiești between 1937 and 1951 when they were known as Juventus Bucuresti. After retiring from playing he managed Petrolul Ploiesti for 11 years across the club’s most successfully period, winning three Romanian League titles and one Romanian Cup. 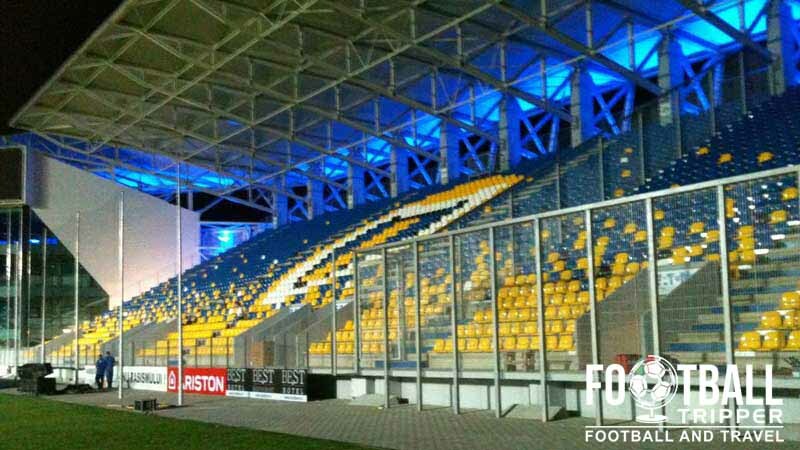 On 29th March 2015 the Romanian National team played their first official match at Ilie Oana, against Faroe Islands. The highest level of football before this was arguably Europa League qualification matches where Petrolul Ploiești have played the likes of Swansea, Vitesse and Dinamo Zagreb. 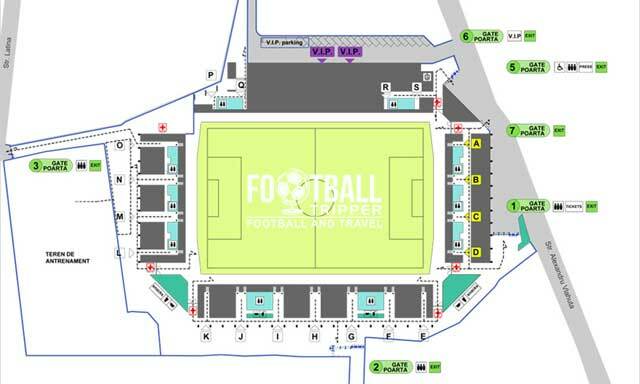 Stadionul Ilie Oană is comprised of four stands: North, East, South and West.